The goggle is on Summer Sale now! Add to cart to check the special price. This item is in China warehouse, it can send worldwide. What's new with the new version? 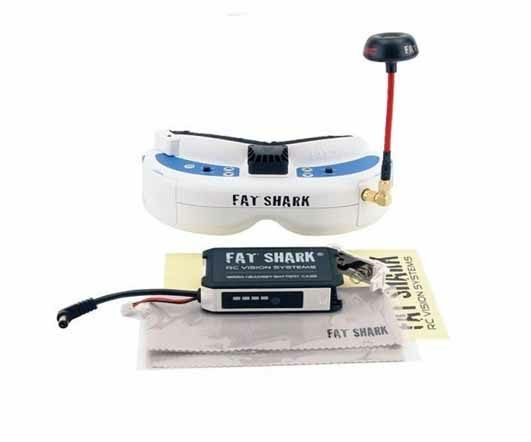 Fat Shark's Dominator V3 Kit provides an almost-ready-to-fly solution for both new and experienced FPV pilots. The kit includes the workhorse Dominator V3 goggles, the FSV2442 32 channel Race Band receiver, a SpiroNET antenna and the FSV1814 18650 battery case -- all in one package. Simply add batteries and you're ready to fly. Note: HDMI cable and adapters are sold separately.